A summary of NEW measures from Budget 2014 and those previously announced in the 2013 Autumn Statement. Personal allowances and rates as previously announced, see Tax Data. Planned reduction in annual allowance to £40k and lifetime allowance to £1.25m, see Pensions: tax rules and planning. NEW pensioners have the choice of taking their pension as cash, or a quarter as cash as a tax-free lump sum, or purchasing an annuity. To remove the presumption of self-employment for limited liability partnership (LLP) partners. To counter the manipulation of profit/loss allocations (by both LLPs and other partnerships) to secure tax advantages. Income tax relief at 30% on investment by individuals into qualifying social enterprises. NEW the relief becomes permanent (it was previously to end in 2015). NEW the Annual Investment Allowance increases to £500,000 from £250,000 on 1 or 6 April 2014 to 31 December 2015.
Business Premises Renovation Allowance (BPRA) from April 2014 time limit for works increases to 36 months and limiting proposals for integral features widened. NEW Increase in R & D payable credit to 14.5% from 11% for loss-making SMEs. 100% Enhanced Capital Allowances available until March 2020. NEW consultation on a new corporation tax relief for theatrical productions and touring theatrical productions. Measures to combat PAYE avoidance by use of false self employment for both onshore and offshore intermediaries. Car and van fuel benefit to increase to £21,700 and £581. Car benefit % increase by 2%. NEW From 19 March 2014: amendments to rules to prevent claims for roll-over relief on the reinvestment into an intangible fixed asset. NEW From July 2014 (date of Royal Assent) payment entitlements under the new agricultural subsidy Basic Payment Scheme qualify for roll over relief. NEW Reduction in threshold for 15% rate on the purchase of high value dwellings non-natural persons to £500,000 from £2 million from 20 March 2014. NEW fuel scale charge from 1 May 2014. Thresholds: registration £81,000, deregistration £79,000. Non-domiciled individuals: measures to prevent avoidance in dual contracts, from April 2014. High-risk promoters: further information requirements under DOTAS, from July 2014. Users of failed avoidance schemes: requirement to amend returns, from July 2014. 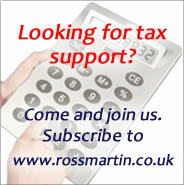 NEW existing DOTAS users, failed tax scheme users and GAAR counteraction targets; HMRC is given the power to request that any disputed tax is paid upfront, applies from July 2014 but will be retrospective and so applies to current cases. NEW powers to collect debts of £1,000 or more directly from tax and tax credits bank accounts. Childcare: new scheme from 2015 worth up to £2,000 per year.